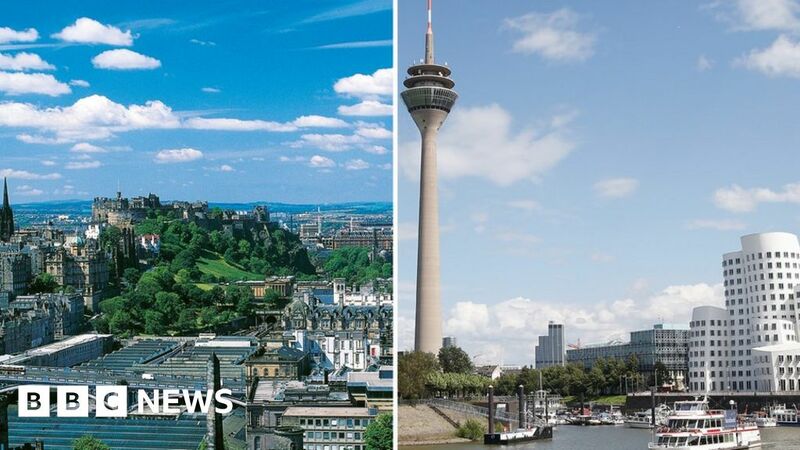 A British Airways flight destined for Dusseldorf in Germany has landed in Edinburgh by mistake, after the flight paperwork was submitted incorrectly. The passengers only realised the error when the plane landed and the “welcome to Edinburgh” announcement was made. The flight has now been redirected and landed in Dusseldorf, BA says. German firm WDL Aviation ran the flight for BA as part of a leasing deal. BA said it was working with WDL to find out why it filed the wrong flight plan. “We have apologised to customers for this interruption to their journey and will be contacting them all individually,” BA said in a statement. It is not yet known how many passengers were affected by the mistake. BA say the pilot wasn’t lost at any point, but because the paperwork said Edinburgh, air traffic control allowed the flight to take that route. The plane took off from London City Airport. Sophie Cooke, a 24-year-old management consultant, travels from London To Dusseldorf each week for work. She said when the pilot first made the announcement that the plane was about to land in Edinburgh everyone assumed it was a joke. She asked the cabin crew if they were joking. The pilot then asked passengers to raise their hands if they wanted to go to Dusseldorf. Sophie said the plane sat on the tarmac at Edinburgh for two-and-a-half hours, before flying onto Dusseldorf. “It became very frustrating. The toilets were blocked and they ran out of snacks. It was also really stuffy,” she said. Passengers complained about the error on Twitter, with one person called Son Tran saying it felt “like an honest mistake”. BA responded saying it did not “currently have any information” as to why the flight had gone to the wrong place. Contaminated blood scandal: Where does the UK’s blood supply come from now? September 28, 2018 Comments Off on Contaminated blood scandal: Where does the UK’s blood supply come from now?